A hush fell over Techlandia earlier Tuesday as Phil Schiller stood onstage at the big Apple Event and announced the iPhone X. (Apple also announced the iPhone 8, an excellent new phone that is stuck playing second fiddle to the X’s swanky new features and dizzying price tag.) If you’re thinking of taking the plunge, here’s what you need to know. 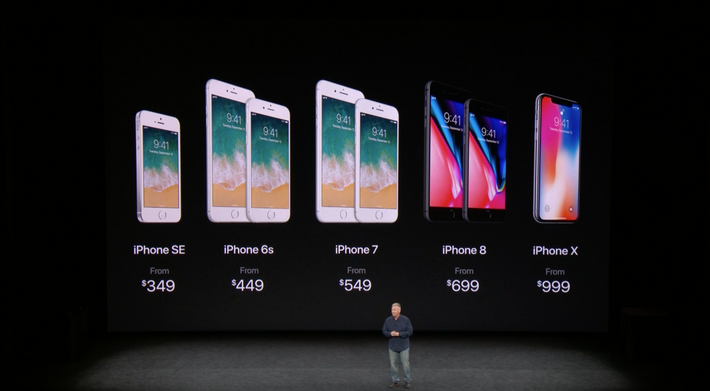 The iPhone starts at $999 for a 64-gigabyte device. … But it might actually be worth it, just for this screen. 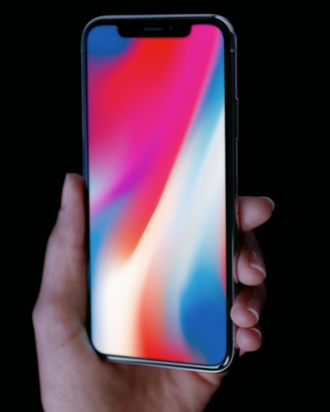 Unlike every iPhone we’ve ever had before, the iPhone X is an all-screen phone. No bezel. No home button. The thing has a 5.8-inch display. (For comparison, an iPhone 7 Plus is only 5.5 display inches. The actual device, as it’ll fit in your hand, is slightly larger than an iPhone 7, but smaller than the iPhone 7 Plus.) Which looks like it’ll be great for watching video, but maybe not so great if you’re already prone to shattering your screen. Plus, where exactly are you supposed to put your fingers? If you want to unlock this thing, you have to show it your face. Face ID uses a “true depth camera system,” which is essentially a whole bunch of sensors and cameras and projectors at the front of your phone that can detect your face each time you look at the phone. It’ll even work in the dark, or if you change your hair or wear glasses or a hat — but Schiller says that even creepily lifelike masks like the ones shown above won’t work to unlock phones, thanks to extensive neural-network training. The one problem? The first live demo of Face ID — by Apple exec Craig Federighi — failed, and he had to sign into his phone with his PIN. You can also use your face to create emoji. Animoji are animated emoji — options include poop emoji, unicorns, pandas, robots, and chickens — that mimic your own face. You can even add your voice to them. Animoji are only available in iMessage and only on iPhone X. Equipped with a 12-megapixel camera — which Apple promises means “deeper pixels,” which, sure — the most noticeable difference with iPhone X is how the camera looks. It’s oriented vertically on the back of the phone, rather than horizontally like on previous models. The iPhone X also supports portrait lighting mode, a new photography feature introduced for the iPhone 8 Plus. The front-facing camera now supports portrait mode, which means your selfies are about to get hella likes on Instagram. … And so does the battery. The iPhone X batteries supposedly last two hours longer than the iPhone 7. The new phone also supports wireless charging. You’ve got two color choices. Space gray and silver. Take your pick. You might have to wait for it. The new device will be available to order on October 27 and will ship on November 3 — but some outlets have reported that production numbers are fairly small, and many people won’t be able to get their hands on the phone until sometime next year. Of course, if spending a grand on a phone sounds insane to you, the iPhone 8 is also a nice option for an upgrade. (It’s got wireless charging, an excellent camera, and comes in three colors.) Or, if you’re not already an iPhone 7 owner, take advantage of its new, lower price at $549, and get yourself an excellent, if slightly dated, device for way less dough. Think of all the takeout you could order with the money you save.